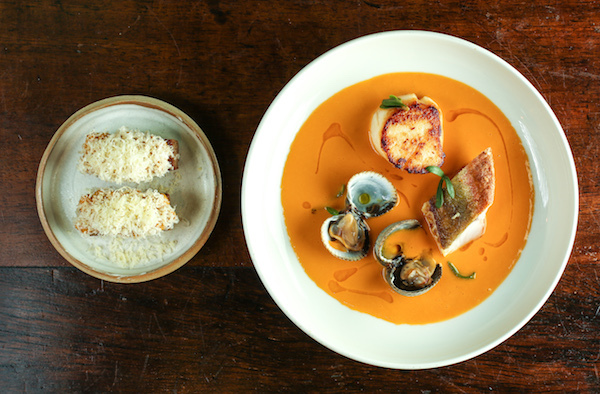 Kitty Fisher’s shot to fame on the London restaurant scene when it opened in 2015 with chef Tomos Parry in the kitchen (Tomos is now at his own restaurant BRAT, in Shoreditch). 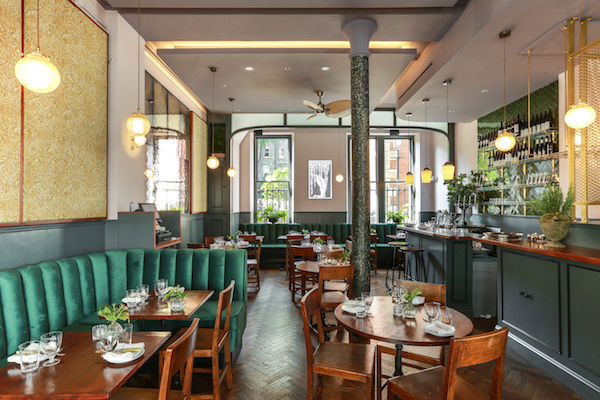 The 38-cover restaurant became one of the hardest tables to get in London – the owners will be hoping for a similar outcome over in Covent Garden with its 55-seater sister. 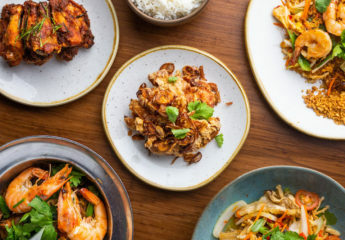 Having only opened in the middle of July, there’s already a lot of buzz about Cora Pearl and the early reviews have been very positive, including from a gushing Giles Coren. The kitchen at Cora Pearl is led by George Barson, who has been head chef at Kitty Fisher’s for the past 18 months – he will continue to head up both sites as executive chef. 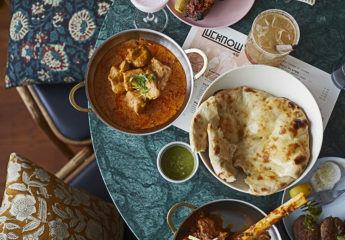 On a scorching summer’s evening, we sit on a corner table by the door with banquette-style seating for the three of us and a wooden chair for a fourth, sticking out almost in the way of the entrance. It feels like the best and the worst table in the house in equal measure. The menu is rather short and simple (in a good way! ), and most of the dishes grab your attention immediately. The snacks are all very good, including brown shrimp Ranhöfer that’s accurately described to us as prawn cocktail on toast, and a deliciously rich cheese and ham toastie with a pot of pickle on the side that could have been even better with a little more cheese. My veal fillet main dish was a thing of beauty to look at and to taste (with a wonderful bordelaise sauce with chunks of bone marrow). 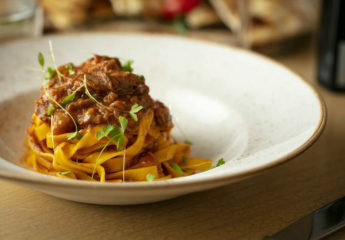 A return visit for the cow’s curd angolotti with peas and summer truffles and the cod and devilled crab is on the cards. It feels wrong, with so many excellent dishes on one menu, to rave about the chips, but these aren’t any old chips. 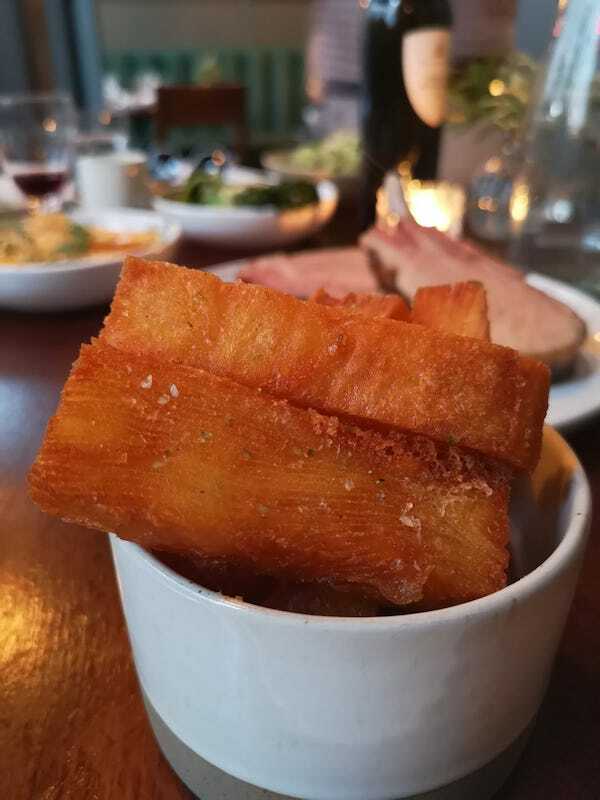 Fluffy, light, delicate layers of potato deep fried to a glorious crisp. Heaven. Like its sister restaurant, Cora Pearl is named after a British-born courtesan who led a “glamorous demi-monde life”. Venture downstairs to the cocktail bar and you could find yourself easily ending up with a similar fate. Cora Pearl is located on Henrietta Street. 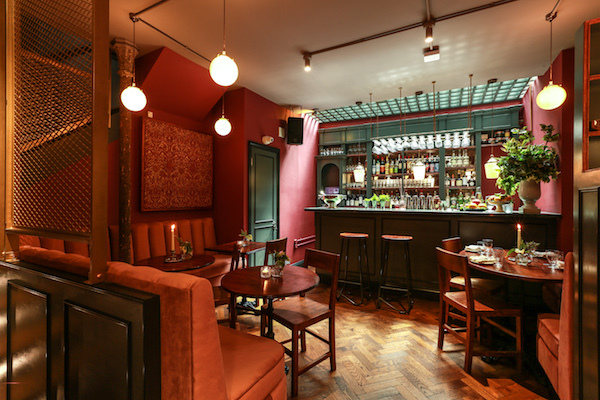 Read our guide to the best restaurants in Covent Garden. 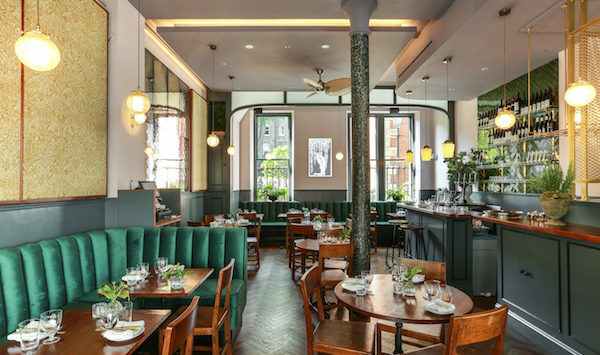 Read some of our recent restaurant reviews including Roux at The Landau, Brat in Shoreditch, Bluebird White City or The Wife of Bath.